USC’s Irani Hall, formerly known as the Molecular and Computational Biology Building, houses wet and dry laboratory research activities on genome structure and function, as well as programs in molecular biology, computational genomics, chemical biology and interdisciplinary research. 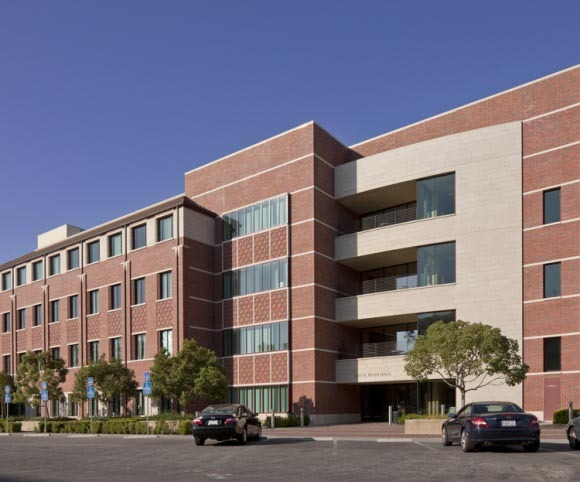 Supporting USC’s status as one of the world’s leading private research universities, the facility is one of three synergistic facilities of the USC Life Sciences and Technology Center. The center serves as a place where new technologies and clinical approaches are conceived and developed in collaboration with colleagues in the Engineering and Health Sciences. Unlike other research buildings, Irani Hall satisfies faculty members’ desire to maintain their own equipment. An integral vivarium and plant growth facility increases interaction between molecular biologists and computational genomics researchers.